My first foray into whisky was a Dalwhinnie 15, recommended by my brother and an easy jump into this liquid universe. After my first couple of tastes, I just 'didn't get it' and went back to Woodford Reserve and Sailor Jerry Rum as partners in my late nite gaming/cinema adventures. After a month or so (and a nudge from watching MI-5 agents down the stuff with wild abandon on Spooks - I'm a visual learner, you see) I decided to give Scotch another try. The taste made sense now; I finally DID get it. In fact I needed to get MORE of it - STAT! 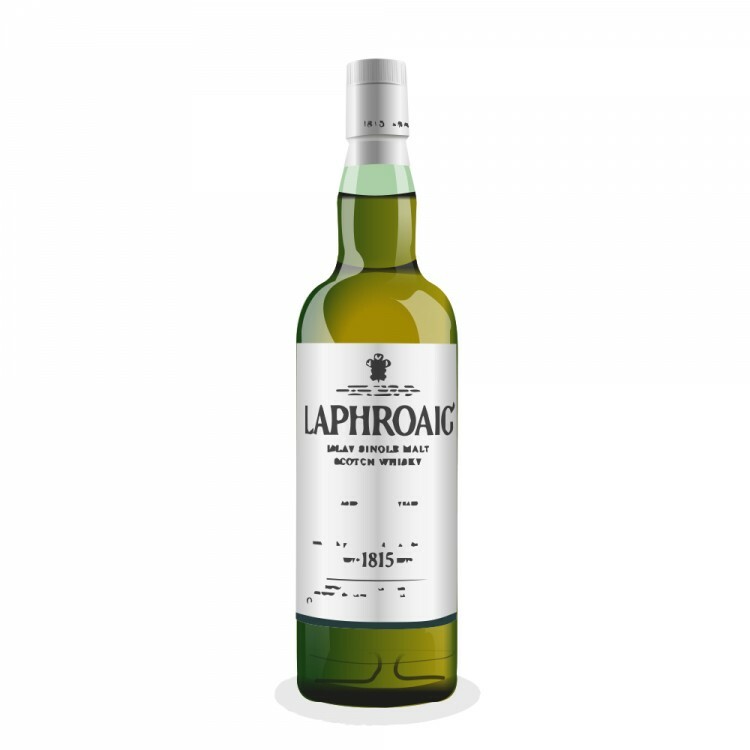 My second bottle that crossed my bank card statement was a Laphroaig Cask Strength 10 year batch 2, which blew my frakking mind. Without much hesitation, I became a Laphroaig fan for life, and the rest is...well, you know. Recently I noticed a bottle of Laphroaig Cairdeas sitting high on the shelf of my local shop, and I had been debating between that and saving up for a Supernova they had behind the counter. I decided to forgo the king's ransom bottle and bring the 'Friendship' home. On my first taste I had opened the bottle to honor the passing of Steve Jobs, tech prophet and provider of so many tools contributing to my career paths in music and computing (He will be missed). I wasn't prepared for the experience it seems, as I thought the straight dram was a bit like the Cask Strength 10 year. I was expecting something different. My sadness that night may have contributed to the disenchantment as well. Fast forward about a week or so - roughly the third time visiting this expression, and I decided to let a drop of spring water into the mix and let it simmer for a bit while I finally caught up with the last episode of the wonderfully grim SyFy BSG prequel, Caprica. (I know...way too long in my queue). Patience is the key here - this thing radiates into something quite gorgeous. The nose indicates a random smattering of cedar chips, marshmallows and a faint whisper of ginger. That telltale, signature Laphroaig leathery, seashore bouquet is there with the lights on for ya - no mistaking the Islay genealogy in here. Tasting (again, after a drop of h2o and a bit of time between sips) evolved as the minutes passed by. Sure, the smoke was evident, though it trailed off quite nicely in the wake of a vanilla wave. A true coastal bouquet with an aftershock of honey into pepper (and more pepper on the finish) followed. The finish lingered and burned very admirably indeed. Altogether, a lovely ride. The surprises were soothing and satisfying, elevating this dram to new heights in my catalog. Let a smidgen of spring water fall in when the dram is fresh and then give it time to it breathe; it will open up and reveal a radiant experience for the patient. I highly recommend this bottling and will strive to keep it stocked on my shelf as long as supply will allow. Sweet review, and I love the Battlestar reference!